Enjoy an intimate Chobe National Park safari at Camp Savuti where you'll be far from the crowds in an area renowned for its high concentrations of game. The Savuti Channel flows again and you can see it in style. This region has a reputation for excellent predator viewing, especially Lion and Hyena. At Camp Savuti you overlook all the action at the channel and on game drives. Your Chobe National Park safari will be an authentic experience to linger long in your memories. Children are welcome at Camp Savuti and families are well taken care of in this small camp. There is a lounge and bar plus a dining area with views over the water. 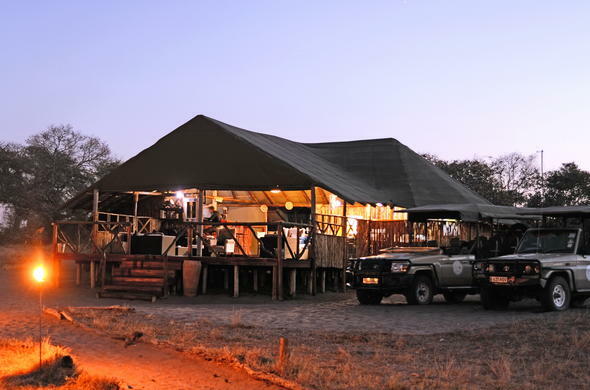 Camp Savuti is one of the first “public campsites” to be privatised in Botswana. Each game drive is led by a guide who will show you how special this area truly is. The Savuti region is well known for its big cat population amongst a variety of other predators. After 25 years, the Savuti Channel has started flowing again. This is a remarkable event and much celebrated in the safari community.